If you’re in the market for a new HVAC unit, you might stop and consider getting a rooftop air unit instead of the traditional one that you keep on the ground. With storage being a major part of many businesses, it’s important that you maintain as much space in your business as possible. And a great way to save up a little extra space is to get a rooftop HVAC unit. A rooftop HVAC is packaged, so all of its components are contained in the same place: on the roof. This means that you won’t have to dedicate areas and even a closet in your business just to your HVAC, so you’ll be able to use all of the space within it. When you have problems with your heating or air conditioning, you’ll want to get those problems resolved ASAP for the sake of your comfort. And for the sake of your bottom line, you’ll want maintenance to be a breeze so that its cost can be as low as possible. And for the quickest and most affordable HVAC repairs, you need to get a rooftop unit. 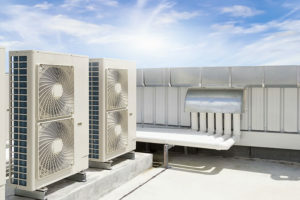 Since a rooftop contains all of the HVAC components and since those components are all easy to access since they’re in an open space, your HVAC repairs will be quick and low-cost. Over time, you might find that your HVAC needs have expanded. This means that your HVAC unit will also have to expand to accommodate those needs efficiently and dependably. And since rooftop HVAC units are designed to be modular, i.e., easy to add on to, you can easily expand and meet your growing HVAC needs with such a unit. Don’t wait to have the most convenient HVAC unit on the market. Get it by opting for a rooftop unit! If you are looking for a heating and air conditioning Company in the Northern Anne Arundel area, please call Brumwell’s Instant Heating and Air Conditioning at 410-360-0002 or fill out our online request form.